From 19 to 23 of February 2017 International exhibition of arms and military equipment will be held in Abu Dhabi - IDEX-2017, where Mobile multi-purpose vans and armored vehicle BARS-8, made in the factory Bogdan Corporation in Cherkassy will be presented. Armored vehicle BARS-8 was developed in the factory Bogdan Motors, exhibition sample includes a 12.7 mm machine gun on a rotating turret. BARS-8 is positioned as a sustainable road vehicle, has capacity for more than 2 tons and is designed to transport personnel up to 10 people on rough terrain, road without coverage, in order to fulfill tactical tasks. The main advantages of BARS-8 are: providing antimine and ballistic protection standard STANAG 4569 Level 2, all-wheel drive reliable chassis DodgeRam, enhanced suspension and axles, 6.7-liter turbo diesel engine capacity Cummins 385 hp, which gives the car the ability to overcome steep slopes and low center of gravity, making it impossible to reverse in overcoming difficult obstacles. 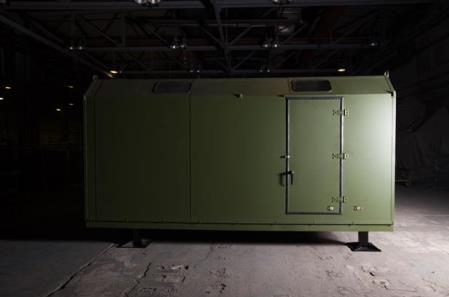 Mobile multi-purpose vans, that will be presented at the exhibition IDEX-2017, equipped with autonomous power supply systems, system of air conditioning and furnished for the functions of both command and staff point and presentation and meeting room. Bogdan Corporation in production capacity of Bogdan Motors Automobile Company produces commercial vehicles and special purpose vehicles. The company has modern equipment and workshops on drawing up trucks, production of superstructures, welding, diagnostics and logistics centers. 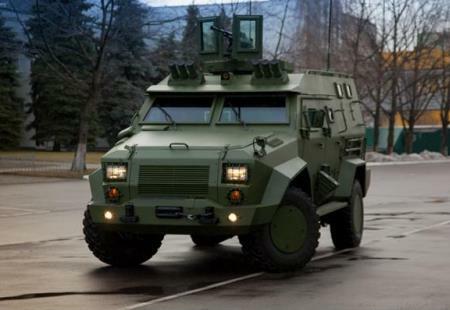 Among military products the following included: tactical armored vehicles Bars-6 and Bars-8 AWD frame car Bogdan Cargo based on GreatWall Wingle 5, sanitary vehicle Bogdan 2252 based on GreatWallWingle 5 military medical vehicle Bogdan 2251 (4 × 4) based on GreatWall Wingle 5, truck Hyundai HD 65/78, truck Bogdan Kozak (6 × 6) based on MAZ 6317, truck Hyundai HD 120.